If you haven’t had a chance to tour the presentation centre in person, this virtual tour of Framework‘s one-bedroom plus flex space floorplan gives you a look at all the in-home highlights: stainless steel appliances, a full-size gas range, polished quartz countertops, under cabinet pot lighting, laminate or custom concrete floors, large closets with built-in organizers, spa-inspired bathrooms, spacious pantry, plenty of storage space and scenic views of the city and mountains. Priced from $264,900, Framework‘s 52 homes range in size from 487 to 834 square feet. The eight-storey project is currently in preconstruction at 231 East Pender Street in Vancouver. 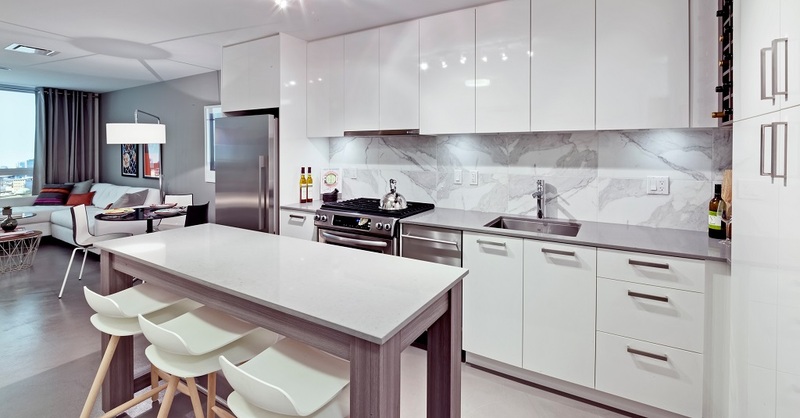 Learn more about the remaining units by visiting the sales centre and show home at 626 Main Street. The facility is open from noon to 5pm daily (except Fridays). For more information call 604 620 6223 or visit their website here.